We all know that nothing good can come from eating a hot dog. They're made of low quality meat trimmings and fat. They've got loads of preservatives. They're full of fillers, including sodium and lots of nitrates. Of all the foods a vegetarian could want, this is pretty much the lowest common denominator. Hot dogs are barely food. But with the warm and sunny weather and the smell of charcoal wafting through my neighborhood last weekend, all I could think about was a Chicago Dog. So, in the spirit of being an American, I decided to embark on a fake hot dog adventure at the Revs pre-game tailgate. Comes in log form, just like Grandma made! How do they get a bone in there? I'm not sure what this is a picture of, but it's not bacon. Unfortunately, some meat substitutes come with massive ingredients lists that contain unpronouncable words. And, let's be honest. 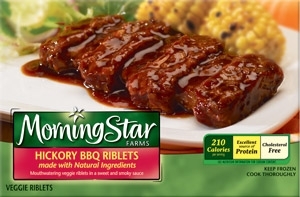 Hickory BBQ riblets? What's the point? 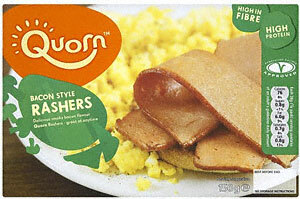 Bacon Style Rashers? Those don't even look good in the picture on the box. 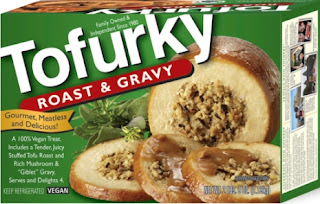 I've had Tofurky before. It tasted kind of like mushy, spongy bread. My family was mildly offended by it at Thanksgiving Dinner, as was my stomach. But hot dogs! Thanks largely to the fact that "real" hot dogs don't seem to be made of all that much actual meat...and what meat they have is ground up and smashed back together with fillers anyways...hot dogs seem like they must be one of the easier items to imitate. For this little experiment, I used Light life Smart Dogs, which are mostly made of soy protein and wheat gluten with some spices (although I do have to question what "natural smoke flavor" means). I won't pretend these dogs are exactly like the real thing. They're kind of soft, which I attribute to the fact that one would have trouble replicating a small intestine casing. More or less, they're hot dog-flavored tofu cylinders. Hungry yet? I swear. They taste pretty good. It's really not about the dog for me anyways. The dog is important (and tasty), of course. But I'd never eat a hot dog on its own. It's a topping delivery system. And top it I did! In a small sauce pan, melt butter over medium heat. Add flour and whisk to combine, cooking about one minute until smooth. Add milk, whisking to incorporate. Add garlic and jalapeño. Stir mixture frequently until thickened, about 15 minutes. The sauce should begin to coat the back of the spoon. Remove from heat and stir in cheese. Add cayenne pepper, salt and black pepper to taste. For the record, I feel no shame for taking pleasure in hot dogs.